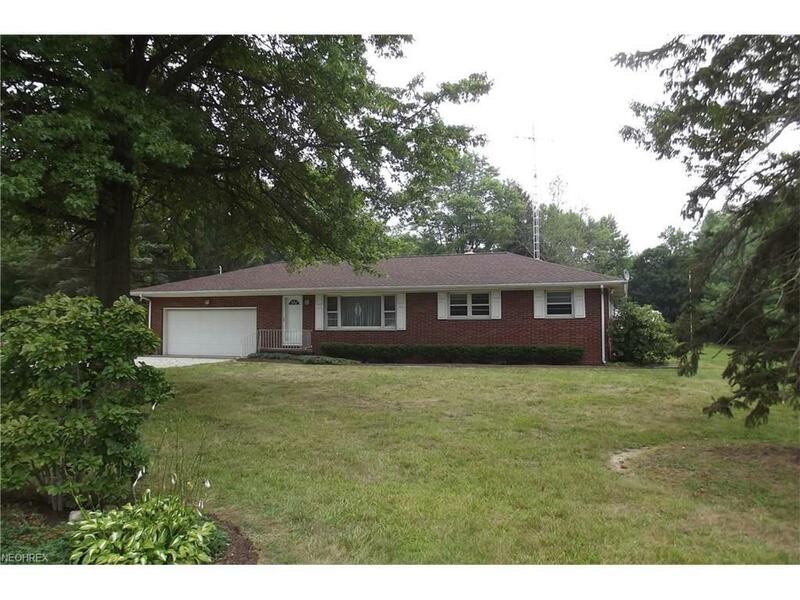 Wonderful Brick Ranch home in the country. 4 bedrooms, 1 full and 2 half baths. Family room with fireplace. Hardwood floors under carpeting. Large patio with in ground pool fenced. Full basement, newer gas furnace and central air. Attached double garage with opener. Detached garage 32x40 with large doors for motor home storage and workshop. Roof shingles on home approx. 1 year old.